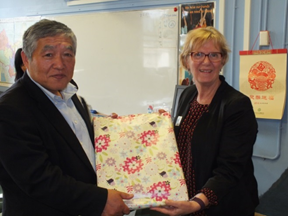 ホーム > ENGLISH > Our sister schools > Chiba Keiai’s visit to our sister school in March 2016. 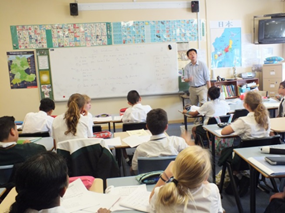 Chiba Keiai’s visit to our sister school in March 2016. And spend one week with homestay families there. 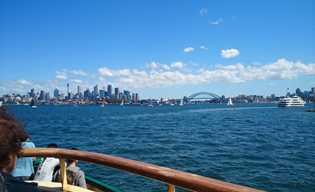 At the beginning of the trip the students spent the day sightseeing in and around Sydney. 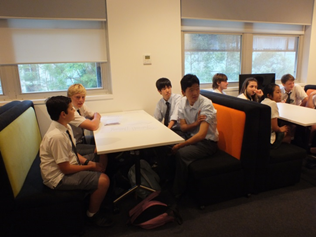 They visited many places such as the Sydney Opera house and Mrs. Macquarie’s chair. 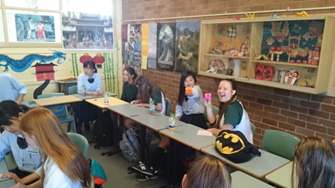 Later on in their trip the students also took a bus ride west of Sydney to the beautiful Blue Mountains, where they hiked the trails and road a tram down the side of one of the mountains. Ms. Cathy Thompson, Ms. Denise Wright, Ms. Watanabe and her students. The welcoming ceremony was very touching as the Forest students performed a song for us. Our students were very moved by the performance. 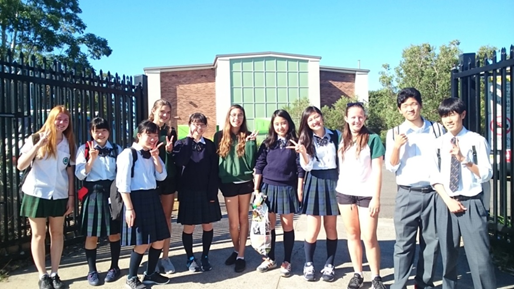 While at The Forest High School, our students attended regular classes with their homestay partners. 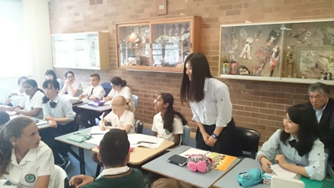 In Japanese class, our students were given the opportunity to introduce themselves in English while the Australian students did the same in Japanese. 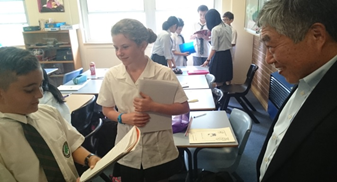 The students also had various written and spoken activities where they had to exchange information either in Japanese or in English. 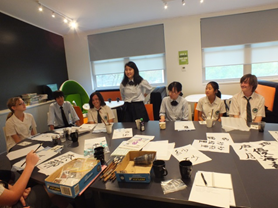 Ms. Watanabe arranged mixed groups in order to use both languages. Sadly, all good things must come to an end. 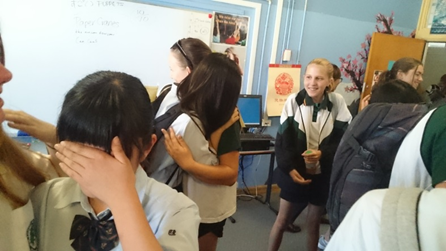 On Tuesday the 22nd the staff and students of The Forest High School showed us a final gesture of their wonderful hospitality by throwing us a farewell party. There were plenty of drinks and sweets and our students were given certificates to commemorate their participation in the exchange program. Without a doubt, this was one of the most exciting and memorable times in each of the student’s lives. 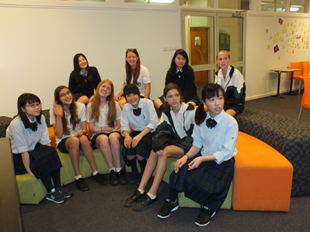 They will look back fondly on their experiences in Australia and the kindness of the people there for the rest of their lives. 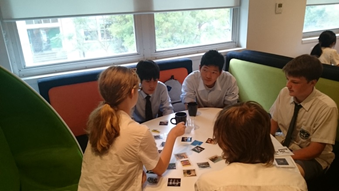 The staff and students of Chiba Keiai would like to offer our deepest and sincerest thanks to The Forest High School. Your generosity and thoughtfulness was, as always, remarkable. 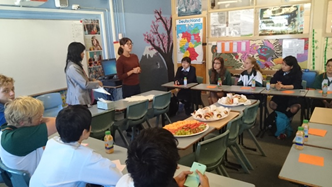 We would especially like to thank the staff of the language department, Ms. Watanabe, Mr. Ye and Ms.Allum for all their efforts in planning and conducting this school visit. It is no easy task to arrange homestays for so many students, organize a field trip and run a school visit. The language department’s teamwork and dedication made this feat seem effortless. As well, we wish to offer our sincerest gratitude to the host family of our students. Your hospitality and kindness will be one of the strongest memories of their high school lives. Their impressions of your families will last life time. Finally we would like to express our appreciation to Ms. Rosemary McDowall, the principal of The Forest High School and the deputy principals, Ms. Cathy Thompson and Ms. Denise Wright. 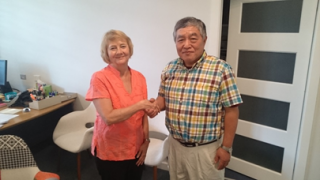 Through your continued support, our exchange program has become a great success. 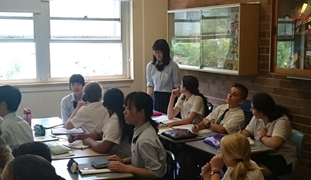 Chiba Keiai’s visit to our sister school in March 2015. Copyright© Chiba Keiai Senior High School. All Rights Reserved.